When you think of mid-century design, few names loom larger than Alvar Aalto. The Finnish architect, designer, and glassware-maker helped usher in, then popularize, modernist design concepts, and his focus throughout his career on creating a “gesamtkunstwerk,” or “total work of art” with every project (those gorgeous chairs and vases that he designed were meant to complete the stunning buildings, so every part of the whole worked together) was truly inspiring. In honor of his birthday (Aalto would have turned 115 over the weekend, on February 3), we wanted to give our Amperfans a few pieces of eye-candy (or should it be eye-cake? ), highlights from a long and prolific career. Enjoy, and please feel free to show us some of your favorite Aalto buildings, textiles, furniture pieces, and glass designs in the comments! 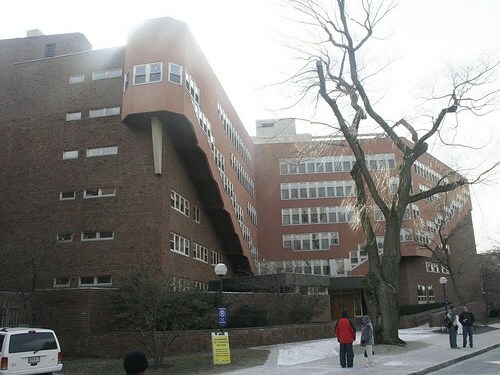 A detail from the Baker House dormitories at MIT (1947-48). Viewed from above the building undulates, serpentine, from end to end. 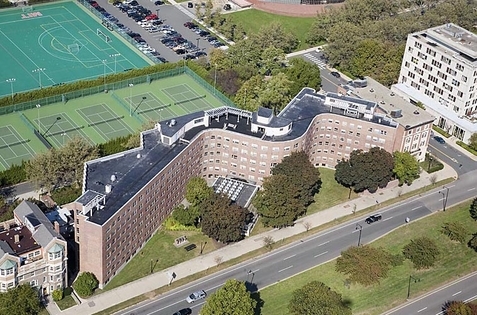 A bird’s-eye view of the Baker House dormitories. Following the concept of gesamtkunstwerk that Aalto applied to his entire career, the Paimio chair was originally designed to furnish the Paimio sanitorium, a building Aalto also designed. Aalto claimed the angle of the back was perfectly calibrated to ease the suffering of tuberculosis patients. The Aalto-Musiktheater Essen, in Essen Germany, was designed in 1959, by which point Aalto had entered a more experimental phase of his career. 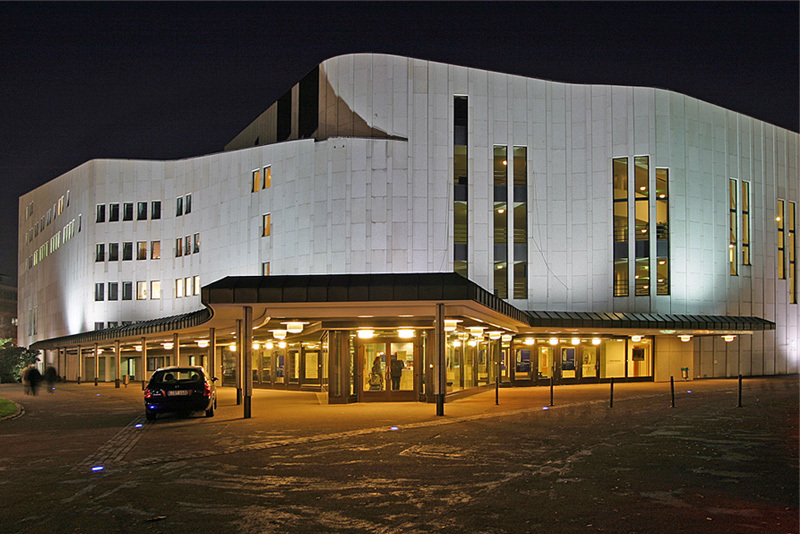 The performing-arts venue wasn’t actually built until 1983, seven years after Aalto’s death. The Aalto Vase, designed in 1937, has become an icon of modern design. It’s often referred to as the “Savoy Vase,” since Aalto and his wife, Aino, originally designed it for the Savoy restaurant opening in Helsinki that year. This wonderful video is from the current Alvar Aalto exhibit at Jackson Design Berlin. The exhibit runs through the end of this month and contains rare and important pieces from the Finnish Architect and Designer. We’ve collected more Alvar Aalto images on our newest Pinterest board, and you can find out more about his life, including a more comprehensive list of his major works, here.